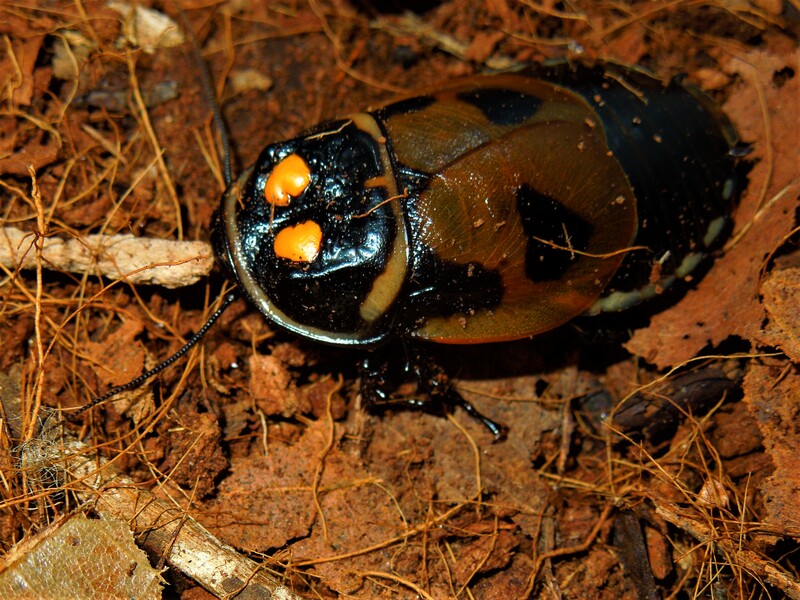 Warty glowspots are beautiful pet roaches (though they can also be used as feeders too). 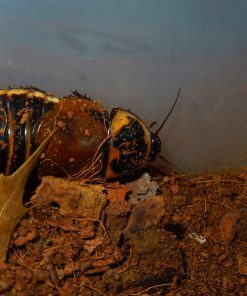 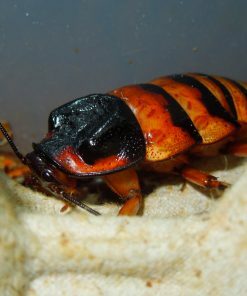 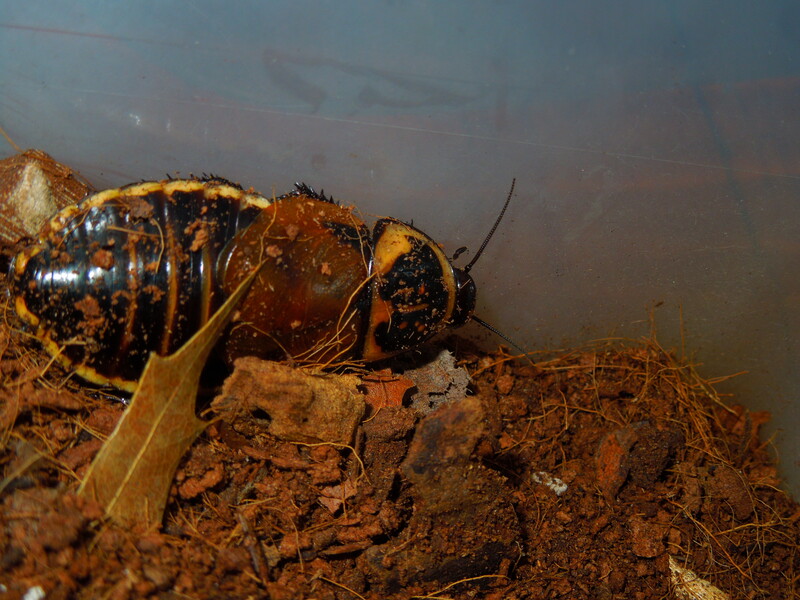 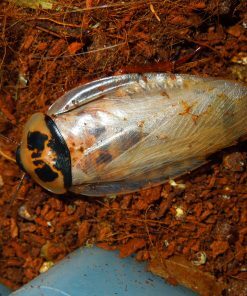 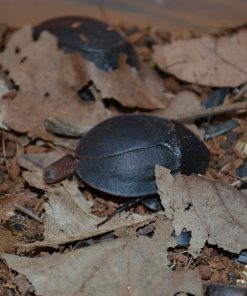 Nymphs (not pictured) are shiny black with orange heads and burrow through the substrate. 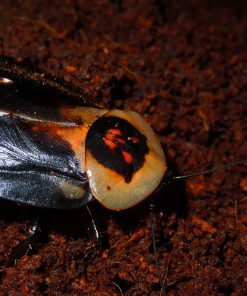 Adults have yellow, brown, and black markings and tend to stay above ground. 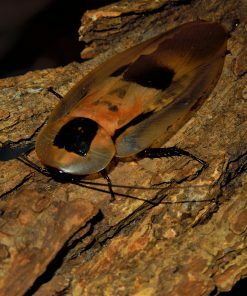 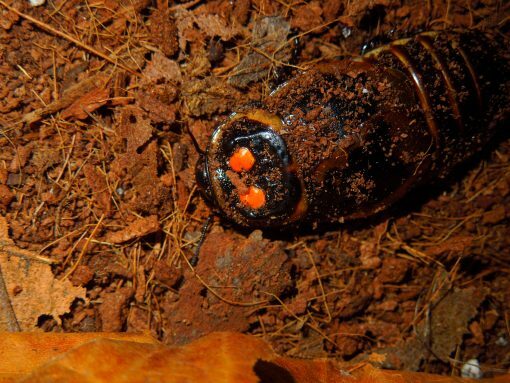 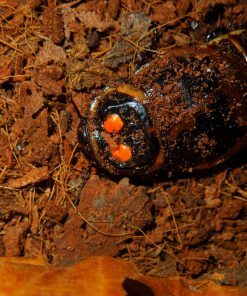 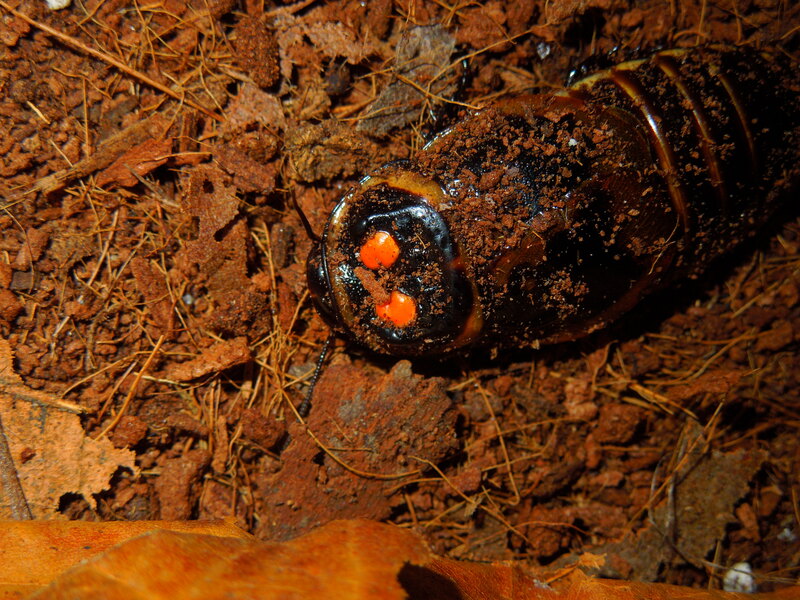 Only adult males have the characteristic orange glowspots on the pronotum. 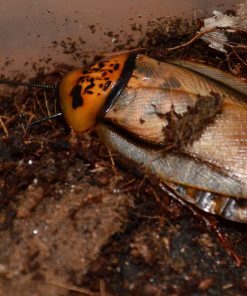 This species appreciates a variety of fruits and vegetables such as carrots, potatoes, apples, or oranges. 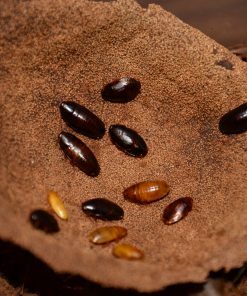 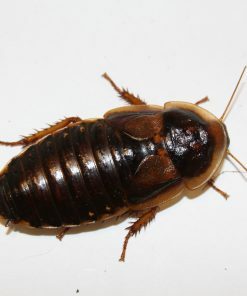 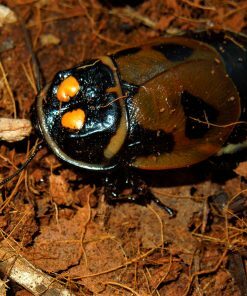 These roaches should have a substrate like coco fiber.